Everyone has their own approach to starting a demo. Some start with a story, while others immediately start listing out the features of their products. Some hand out freebies right at the beginning to lighten the mood, while others try and crack a joke. Yet, regardless of the approach taken to open your demo, the most important aspect is the result of the demo on the whole. I've found one question to be most effective in bringing out the best in my demo's. You've been up since before sunrise, you've driven hours, maybe even flown, and finally pull into the prospect's parking lot. Other than feeling tired after an already long morning, you're a little nervous because you know this prospect is looking around at multiple ERP's and really doing their homework. You know the other vendors presenting and you know that they are bringing the same functionality you have to offer and maybe even have something beyond what you've got in your arsenal. The truth is that software sales can be messy and aggressive and competitiveness between competing ERP providers is only ever getting tighter. Not to mention that prospects and customers now have myriad resources at their fingertips when doing their own research on what they're looking for. This shifting landscape creates changes around many aspects of software sales including the way in which demos are given and given successfully. It may have been a product and feature-centric landscape fifteen or twenty years ago but now more than ever customer expect to be the center of attention. This has impacted sales in many ways with the largest change coming in the actual role of the sales team and their responsibilities. Sales is no longer the loudspeaker with which a company makes its products known. That role has shifted to marketing and the creation of quality content online. Sales has in large effect traded in its loudspeaker for silence, and most notably, the chance to listen. It's no secret that sales has more to gain by asking questions than by just spitting out product features. Nevertheless, it's difficult to break the mold of the traditional "vacuum salesman," standing at your front door smiling at you in your slippers, eager to tell you all about how his product's features will solve all your problems, without ever asking you what you're problems are. Listening requires that the right questions be asked to guide your customers and prospects along the right path of thought. 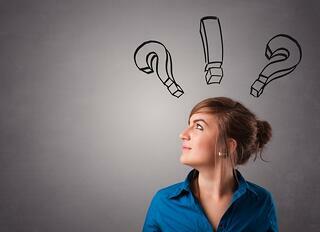 So what is the single best question to ask during your visual scheduling software demo? It is a question which leads to deeper thought and most importantly the further question of: why. Why is this the best question? It is the best because it forces your customer to articulate directly, in their own words, what they need and what their problem is. They'll tell you what they need you (or your product) to do for them. The beauty of this question is that it can directly be followed up with a why. Maybe you've heard of the 5 why approach to getting to the source of any problem? This same rule applies in understanding your prospect's problems. The major key to getting to the heart of what your customer or prospects major pain point(s) is. This creates a chain of questions which act as a virtual "bloodhound" diving right to the source of why everyone is sitting in the demo in the first place. Drilling into a problem or request with a why is the surest way to articulate and evaluate the actions' value. Besides the benefit of discovering what is truly needed this question single-handedly turns and focuses the demo on the most important party in the room, the customer. The next time you are going to give a demo, try to work this question in as close to the beginning as possible. It will steer your further questions and the presentation itself and ensure that the demo remains as customer-centric and relevant as possible. Want more reading on how to give an outstanding demo? 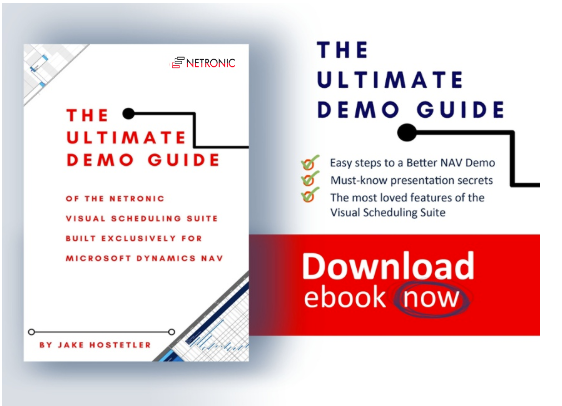 Download the NETRONIC Ultimate Demo Guide below!